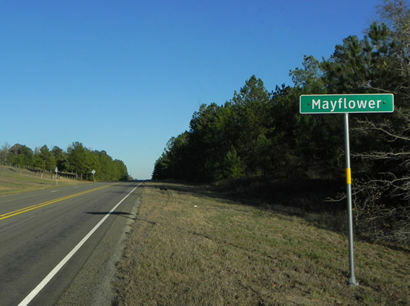 Mayflower, Texas, AKA Survey, Texas. No population estimates are available for Mayflower's early years, but like most regional towns, it would've peaked during the early 20th Century when timber reserves were being exploited. After WWII the post office was discontinued and the 1970 estimate of 100 people has been used through 2000. 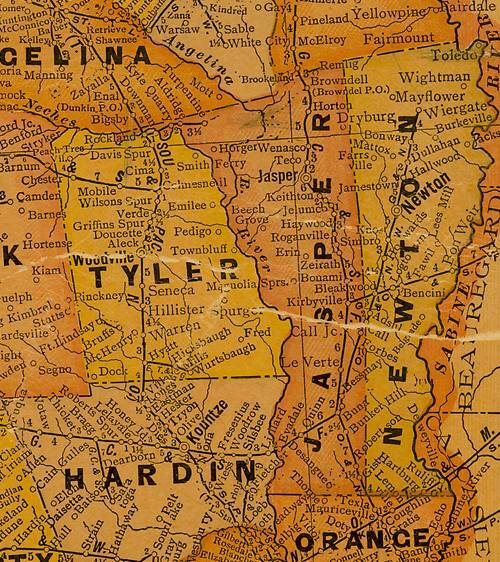 William Williams, an early 1800s Sabine Valley pioneer, obtained a large land grant in 1834 from the Republic of Mexico. His surveyed land attracted settlers, who called the location "The Survey". In 1847, Wade H. Mattox (1800-1863) built the first frame house in the settlement, using lumber hauled from Alexandria, LA., by a neighbor, Ezekiel Cobb (1825-1864). 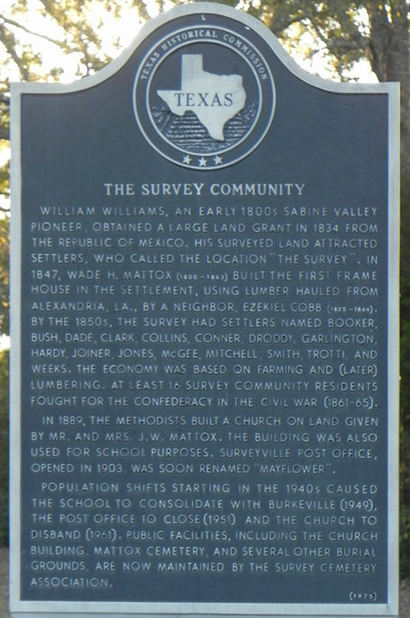 By the 1850s, the survey had settlers named Booker, Bush, Dade, Clark, Collins, Conner, Droddy, Garlington, Hardy, Joiner, Jones, McGee, Mitchell, Smith, Trotti, and Weeks. The economy was based on farming and (later) lumbering. At least 16 survey community residents fought for the Confederacy in the Civil War (1861-65). 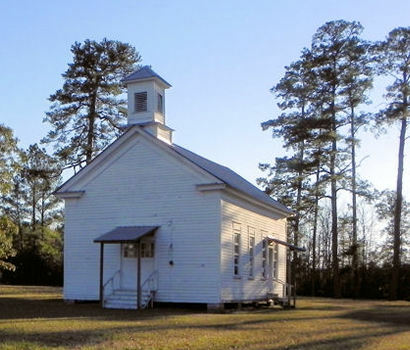 In 1889, the Methodists built a church on land given by Mr. and Mrs. J. W. Mattox. The building was also used for school purposes. 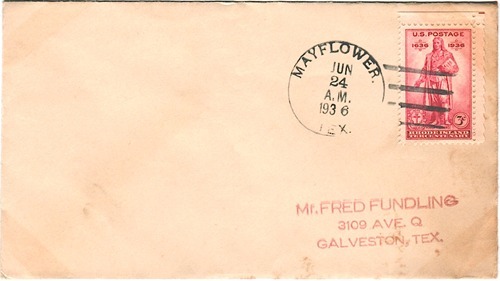 Surveyville Post Office, opened in 1903, was soon renamed "Mayflower". Population shifts starting in the 1940s caused the school to consolidate with Burkeville (1949), the post office to close (1951), and the church to disband (1961). Public facilities, including the church building, Mattox Cemetery, and several other burial grounds, are now maintained by the Survey Cemetery Association.